Any business which owns and operates vehicles will need to purchase commercial auto insurance. 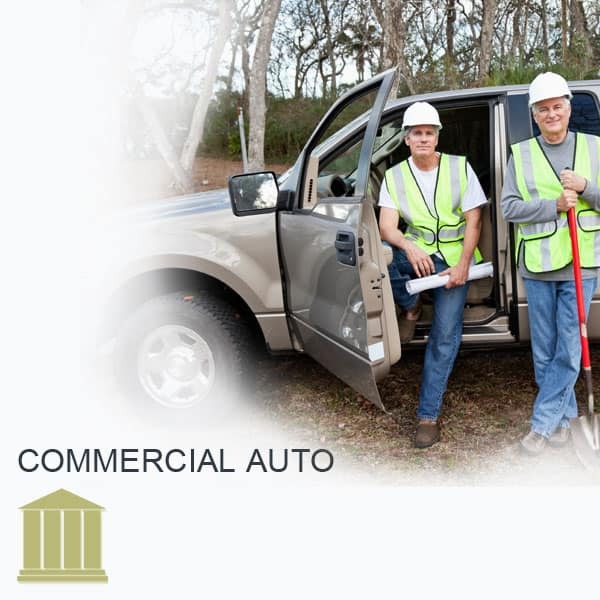 Commercial auto insurance is not only required by law, it also protects your company’s vehicular assets and protects your business from potential claim and/or law suits which could be fiscally detrimental. If your company has or uses vehicles to transport goods or people for a fee or service, if your company requires higher limits of liability, haul large amounts of weight in tools or equipment, or have employees who are, or will be, operating vehicles which are owned or in the name of your company, you will be required to carry commercial auto insurance. Commercial auto insurance differs from the standard auto insurance in that it is written and rated specifically for the needs of a business in order to protect your business from physical damages and liabilities which may not be covered in a standard automotive insurance policy. Commercial auto insurance policies are designed to be flexible and uniquely tailored for each vehicle specific needs, based on each vehicles intended use and each vehicles risk expose. A commercial auto insurance policy will insure all company vehicles which are, owned, operated, hired, rented, for personal use, and some non-owned vehicles. The limits associated with commercial auto insurance are much higher than those of a person policy, this is to ensure your company is protected from potential damages and/or lawsuits or claims which may be filed against your company and/or your insurance policy. Most commercial auto insurance policies offer a general liability option which is comprehensive in nature. This type of coverage is designed to protect against all hazards within the scope of the insuring agreement. Commercial auto insurance policy which include commercial general liability are also comprehensive in that they will automatically cover new locations and activities as your business grows and expands. These types of policies are offered in three distinct policy options: premises liability, products liability, and completed operations. Each vehicle will be scheduled a designated number dependent on the service required from each vehicle and the vehicle’s weight. Any auto. This rating covers most traditional automobiles. Owned auto only. This symbol covers any auto which is personally owned by the insured. It may also cover any trailer towed by an owned vehicle. Owned private passenger auto only. This will cover private passenger auto. Owned autos other than private passenger autos. This policy will cover all owned vehicle not designed to be passenger vehicles such as, vans, trucks, motorized equipment. Owned autos subject to no-fault. This may include vehicles which are garaged or in states which recognize no-fault laws. Owned autos subject to a compulsory uninsured motorist law. This policy is designated for any auto which is garaged or licensed in a state where drivers are required to have uninsured motorist coverage. Specifically described autos. These autos must be listed in policy to be covered, and can include trailers towed by listed vehicles. Hired autos only. This policy number will cover any autos leased, hired, rented or borrowed by the insurer, but does not cover said autos from an employee, partner or member of insurer’s household. Non-owned autos only. This policy number will cover autos not owned by insurer but may be owned by employee, partner, or member of insurers household.